On a ski vacation in the French Alps, a young Swedish couple and their two children have a close call with an avalanche that sends the father, Tomas (Johannes Bah Kuhnke), scurrying for his life, leaving behind his panicked kids and equally terrorized wife, Ebba (Lisa Loven Kongsli). Though no one is harmed, the foundational beliefs and expectations holding together the edifices of marriage and family have been shattered. As Östlund plumbs the aftermath of Tomas’s split-second transgression, this scalpel-sharp, often squirmingly funny film examines the flimsy bonds of coupledom, the conflict between social role and survival instinct, and the impossibility of undoing that which has come before. Winner of the Un Certain Regard Jury Prize at the 2014 Cannes Film Festival and this year’s official Swedish Oscar entry. FORCE MAJEURE (Turist, 2014) An avalanche in the French Alps sends a father scurrying for his life, leaving behind his panicked wife and children, in Östlund’s examination of the conflict between social role and survival instinct. PLAY (2011) Unabashedly impolite, Östlund’s record of racially charged harassment and societal paralysis offers food for thought and fuel for fury. 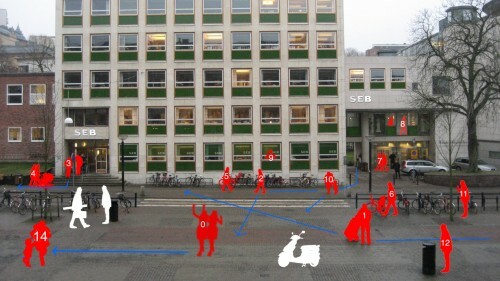 INCIDENT BY A BANK (Händelse vid bank, 2009) Based on an actual account of a bank robbery witnessed by two bystanders across the street, Östlund’s concise study of surveillance may remind some viewers of Michael Haneke’s Caché. INVOLUNTARY (De ofrivilliga, 2008) Described by Östlund as “a tragic comedy or a comic tragedy,” the director’s second feature draws uneasy laughter through five examinations of bourgeois group dynamics. 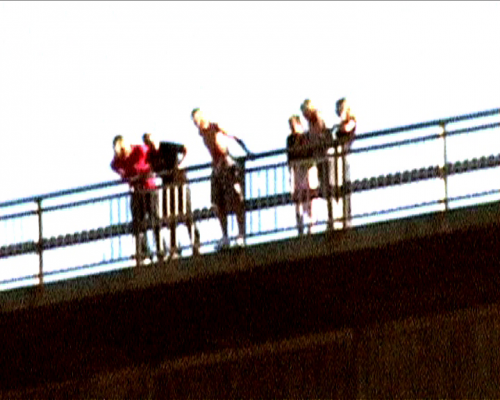 AUTOBIOGRAPHICAL SCENE NUMBER 6882 (Scen nr: 6882 ur mitt liv, 2005) A young man has second thoughts about his boast to jump from a bridge in this penetrating critique of peer pressure and the fragile male psyche. 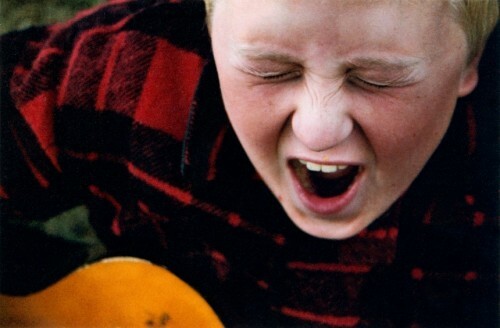 THE GUITAR MONGOLOID (Gitarrmongot, 2004) Östlund’s mostly nonprofessional cast brings a documentary quality to this compassionate, humorous portrait of outsiders and nonconformists, focusing in particular on the titular musician, a young man facing dire obstacles in life.